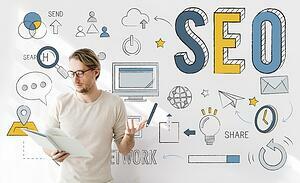 As Adam Audette from RKG says, “The days of SEO being a game outsmarting algorithms are over. 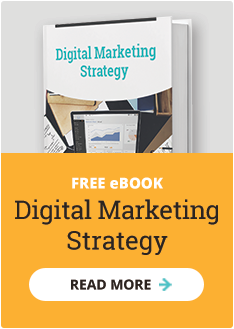 Today content strategy and valuable, sustainable strategies are essential, not just tricks and links." As search engine algorithms constantly improve themselves to offer the type of search results visitors are looking for, the best SEO strategy incorporates a content marketing strategy that creates the type of content your audience is actually looking for. 10-15 years ago, creating hundreds of indexed pages and submitting those pages to link sharing sites worked to game the Google Search Algorithm and get your page to the top of search results overnight. Then Google changed their algorithm and websites using these black hat SEO strategies found themselves at the bottom of the search results. They tried new techniques and Google changed their algorithm again. And again. Why do you care about all of this? If this seems like a lot to keep up with, it is. The point is, it’s impossible to know exactly what affects SEO and when it will change. Trying to game the system could land you at the bottom of the search rankings the next time a “Fred” comes along. There is only one way to create these elements in a lasting and organic way. A solid content marketing strategy is the best way to build up your page rank and link authority over time and make sure you are not only showing up in the right search results, but being visited by the right people. Some SEO experts who suggest content marketing as a way to improve your search engine rankings still see it as a numbers game. However, Google Search Algorithm changes like Penguin have put less focus on the number of link backs and blog posts and more emphasis on the quality of the links and shares your content receives. Getting quality links and shares requires quality content. Your first goal should be to create pillar content that is of value to your audience so they will naturally want to share it. That’s why 85% of content marketers say higher quality content creation was the main factor contributing to their increased success last year. Pillar content is a substantial and in-depth piece that you invest in as content that will create high results for an extended period of time. Whether your piece of pillar content is a whitepaper, webinar, long-form blog post or other piece of content, it’s goal should be to provide tremendous value to your audience and be extremely shareable. Rather than simply cranking out 500 word blog posts that won’t have a major impact, invest in a more impactful piece of content that will generate a large number of links and shares. Studies show that content length can have a direct effect on SEO. On average, 1,500 word blogs perform well but the top 10 results across all SERPs had an average length of 2,000 words. Once you have one piece of valuable content you can begin to build off of it. Pillar content should be designed to be broken down into many different pieces such as infographics, videos, social media posts and other content. Your topic clusters should build off of and link back to your pillar content to further support it and strengthen your SEO ranking for those keywords. A good content marketing strategy should always be optimized for your audience first and search engines second. Never sacrifice quality or choose topics your audience won’t find value in simply because they might improve SEO. If your audience isn’t going to read and share your content marketing, it won’t improve SEO. However, this doesn’t mean you should completely ignore SEO as part of your content marketing strategy. Content marketing and SEO take time to develop. A year before they even had a product, Unbounce began blogging. After 6 months their blog still received less than 800 monthly visits. However, by the time their product launched, their blog had caught on and was generating strong traffic and their email list had grown to 5,000 people. There is no such thing as getting on to page one of Google overnight. However, by investing in the long-term strategy, you ensure that when you finally do achieve your SEO goals, your search reputation will be secure.